Italian's biggest river, the Po, originates in the mountains of the Piemont and flows eastwards through a long river valley for 400 kilometers before emptying into the Adriatic. The Alps are located at the northern end of the Po Valley and the Apennines are in the South. Local crops include sugar beets, corn, and especially wine. The Po Valley lies in a temperate climate zone. Due to the cold winters, the vegetation here has a more Central European character. 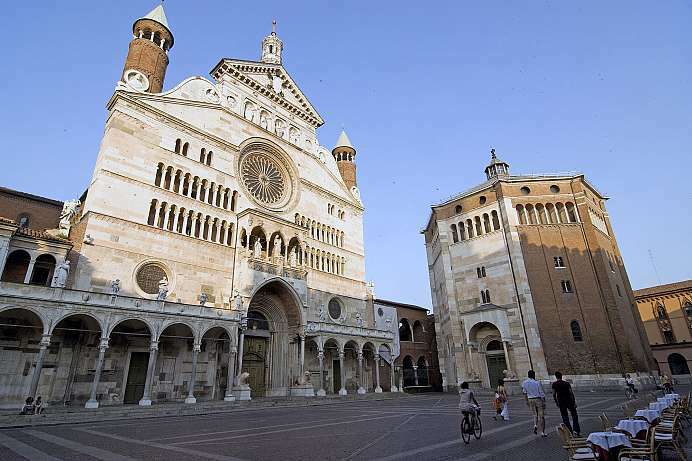 The Po Valley witnessed a blooming urban culture during the Middle Ages and the Renaissance. 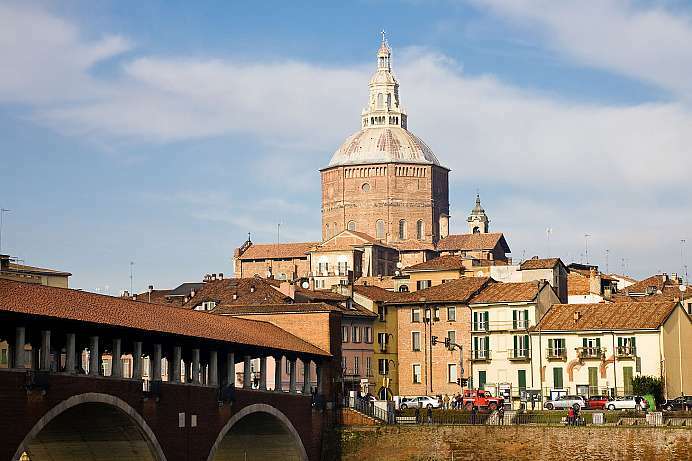 Its cities include Bologna, Turin, Milan, Mantua, Pavia, Cremona and Parma. These were city-states where science, architecture, art and music once thrived. The monastery, originally built for the Carthusian order, is one of the most important historic sights of northern Italy. The Carthusians earned their livelihood with the prayer for salvation of others. This was of great interest to the despotic Counts of Visconti as they feared eternal damnation. With the money of the noble family, a splendid Renaissance building was created, their mortal remains still kept in the south aisle until today. 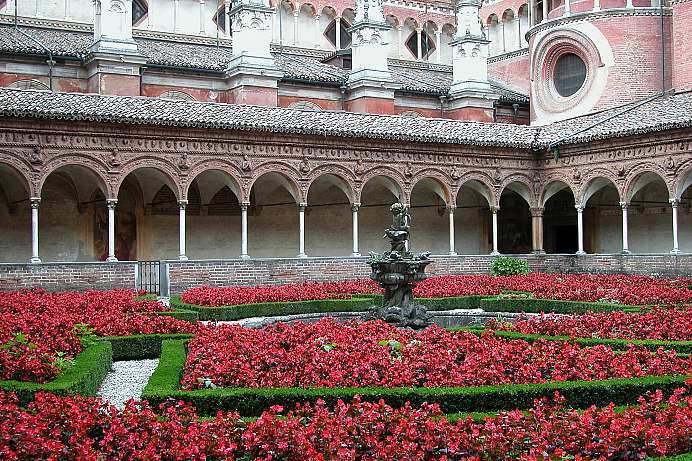 A garden was established between the Certosa and Pavia Castle situated nearly ten kilometers away. The city on the north bank of the Po is above all known for its violin making. Since the 16th century the Amati, Guarneri and finally the Stradivari family have brought the violin to perfection. 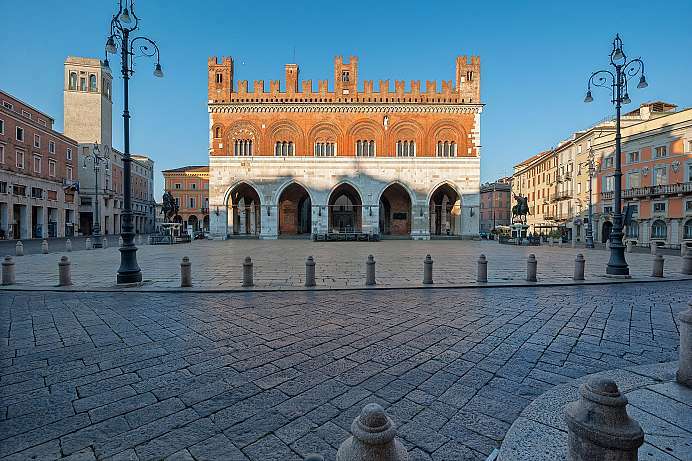 Less well known are some special buildings and places in the Centro Storico, especially the Piazza del Commune, one of the finest squares in the world. There one can also find the town's landmark: with its 111 meters the highest bell tower in Italy. The old town on the Ticino River has retained its medieval core but at the same time is very much alive due to its many students. Between Strada Nuova, the Visconti Castle and the Ticino Bridge, there are Romanesque churches, chic shops and many nice cafes to be discovered. In Roman times the city on the Po River was located on the intersection of two major through roads and has been an important center for trade and crafts. The small but attractive old town is surrounded by a fortress wall. Palazzi dating back to the 16th to 18th centuries line the streets that converge on the Piazza del Cavalli. From this central square, which is dominated by two equestrian statues, a car-free shopping street leads to the Romanesque cathedral. 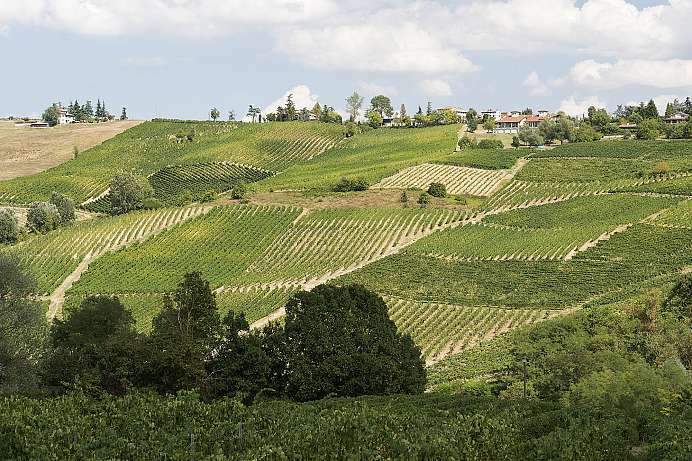 With its intriguing 17th century cathedral and 19th century theater, Voghera is the capital city of a region of rolling hills known as the “garden of Lombardy.” These hills, where fruit-trees and grapevines grow, are often crowned with castles. A particularly renowned wine from the area is the Spumante Classese. Other local grape varieties include Barbera, Riesling Italico and Pinot Nero.